2018 has almost passed us by, and without your support, by visiting this site it would have been a really tough year. So the best way that we feel we can thank you is to give you a little present to get you through the Christmas season in the classroom. There is plenty of different content here to keep your students engaged, and save your sanity as we wrap up 2018. Download our 57 page Christmas Activity book COMPLETELY FREE HERE. Have a great Christmas and a happy new year. 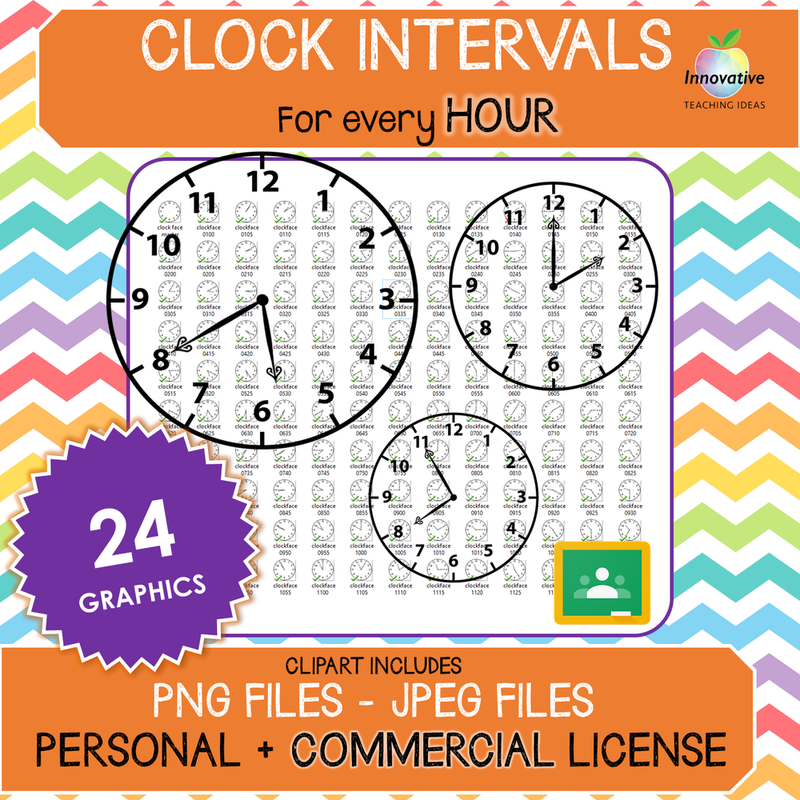 THIS FREEBIE IS TAKEN FROM OUR 5 MINUTE INTERVAL CLOCK FACE CLIP ART BUNDLE WHICH YOU CAN DOWNLAOD HERE FOR UNDER $3.00 HOW GOOD IS THAT??? These 290 IMAGES are spaced at 5-minute intervals covering all 12 hours. We have also included a blank clock that you can customize yourself. These were professionally designed for quality and size, so you can blow them up to a full-sized PowerPoint with no pixilation and no loss in quality. This poster highlights the 'Big Three' search engines for teachers and students and highlights the strengths and weaknesses for each one. I would recommend also taking a look at our "How to use Google Search like a Boss" Which has been hugely popular in teaching students how actually use Google Search with purpose and direction. It has been a while since we have done a poster freebie. So it would be great if you could give us some feedback. Teachers out there who are interested in inquiry based / interdisciplinary learning might want to visitwww.educatorsresources.com.au for some interesting free resources. The focus of many of the resources is on inquiry based learning projects and culminating ‘rich tasks’. The tasks are excellent examples of curriculum that is open ended, authentic and truly interdisciplinary. The first sample ‘Does Biodiversity Matter?” is a primary aged inquiry into biodiversity. It aligns with Australian Curriculum standards in Science (‘biodiversity’ and ‘adaptations’) but could also be used to assess progress against English outcomes along with the interdisciplinary areas of Communication and Thinking Processes. The second sample is an inquiry for secondary students (years 8 and 9) ‘Can I Defend Human Rights?” The culminating task invites students to ‘take action that matters’ in relation to a Human Rights. All of the rich tasks are examples of performance pieces that culminate a structured and well-scaffolded inquiry. Feel free to download the two posters above and visit www.educatorsresources.com.au for more free resources specialising in inquiry/ interdisciplinary learning.